Sorry, the figure is not to scale. If there's any problem with the question please inform me. Those are abbreviations for the bases adenine, guanine, thymine and cytosine. RNA does not contain thymine, but its unmethylated form uracil, abbreviated with an U. Thus, none of the structures represents RNA. 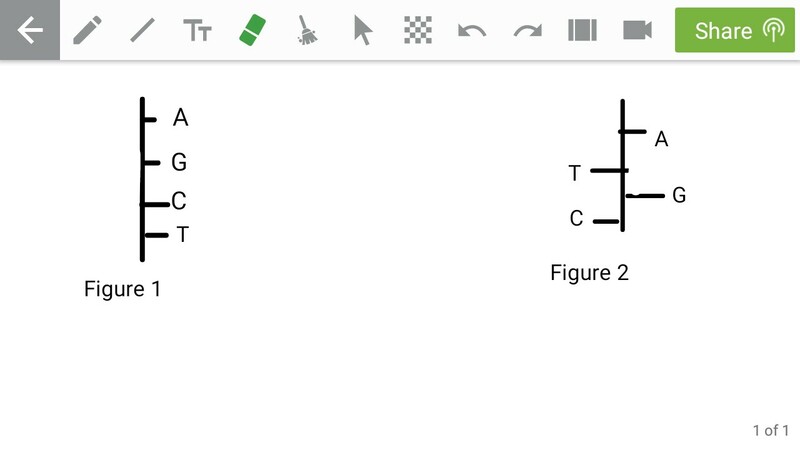 Familiarize yourself with RNA by e.g. reading the wikipedia article or something https://en.wikipedia.org/wiki/RNA After you've done this, you can e.g. 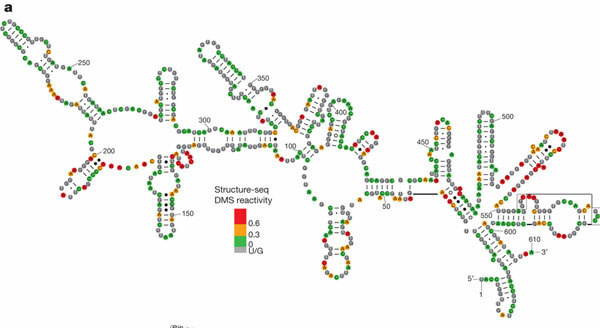 go to the vienna webserver http://rna.tbi.univie.ac.at/cgi-bin/RNAWebSuite/RNAfold.cgi and predict secondary structures of your own RNA sequences. Not the answer you're looking for? Browse other questions tagged rna rna-sequencing or ask your own question.